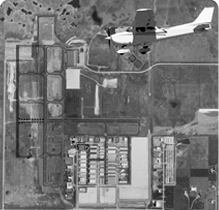 Springbank Airport (YBW) is Alberta’s second-busiest airport in terms of aircraft movement, and the 6th busiest aerodrome in Canada overall. Operating 24 hours a day, we are a busy and growing airport that is the primary general aviation reliever airport for Calgary International Airport. The operations and development of Springbank Airport are directed to supporting light aircraft activity including flight training, recreational flying, corporate and air charter activity and compatible aircraft maintenance, manufacturing and support operations. Located in Rocky View County west of the City of Calgary, we are the closest certified aerodrome to Banff National Park.